Working with the Colchester Archaeological Trust (CAT), the project saw young people, ages 11-25, learning about the archaeology of Roman Colchester and working with local professionals to develop an animation, historical audio tour and site based app all to be installed at the Roman Circus Visitors Centre. Our legion of young charioteers, ready to march to the Roman Circus. Working with heritage professionals from Colchester Archeology Trust, Dig Deeper participants gained a deeper insight into this little known part of Colchester’s heritage, as well as teaching them a variety of valuable new digital skills. 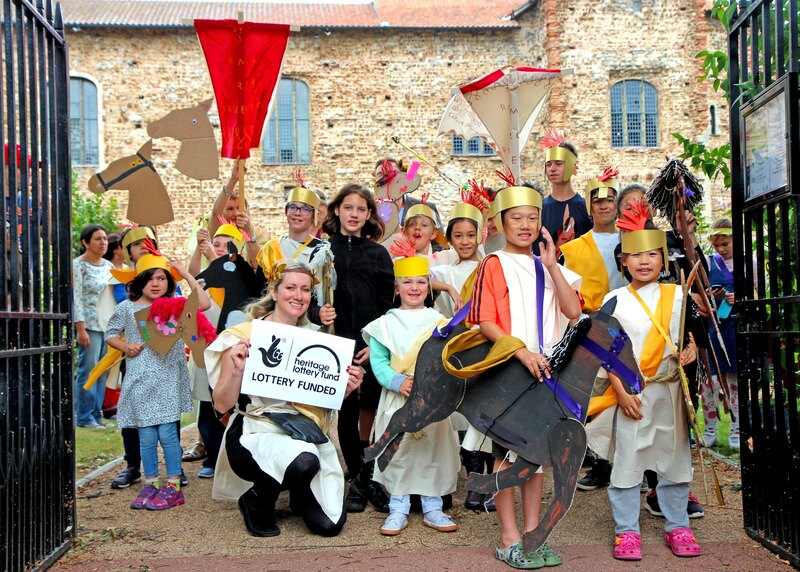 A huge thank you to everyone that took part in the Dig Deeper project, you can view a video of the day on our website and download the Colchester Roman Circus app now for free! Explore more of Roman Colchester in our free audio tour!